We offer you an excerpt from an interview conducted by Evagelos Sotiropoulos with the V. Rev. 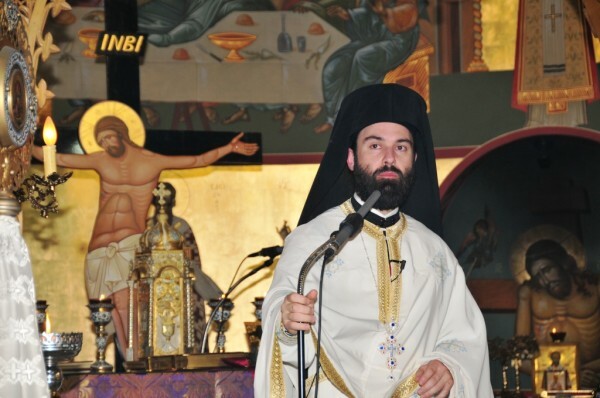 Archimandrite Demetrios Antonopoulos, a parish priest at Evangelismos Tis Theotokou Greek Orthodox Church in Montreal, Canada. The full interview can be read here. – It is customary among many to set personal goals for the New Year. How should we as Orthodox Christians approach the tradition of setting such resolutions? – When I lived in Germany I knew people who every January would want to change something for the better or stop doing something harmful, like smoking. If you examine New Year’s resolutions, you will see that people commit to them out of a desire of developing themselves towards good. However beneficial this tendency may be, though, it does not mirror the Orthodox life. This is because the change should be right now since we are at the risk of death every day. As one hymn to the Holy Trinity states, “The Judge [Christ] will come suddenly, and the deeds of each will be laid bare.” Given this, the change we often seek may be late or indeed never come. Regrettably, modern society is often dominated by consumerism and people are less concerned about the correct way of living; and, because of this, they find reasons to push change into the future, including making New Year’s resolutions. But as I just mentioned, it is vital that we continuously try to change our habits in a God-pleasing way. 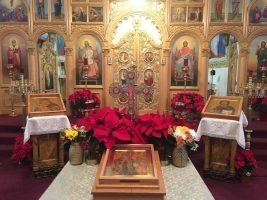 – One habit I think many of us, including myself, need to examine is our going to Church since many times we go out of a sense of duty (e.g., Christmas, Pascha, for a wedding or funeral). How do you suggest we approach attending the Divine services and, briefly, why is this important? – I agree that it is a fact many people nowadays go to Church just for this reason. Our faithful need to better recognize the real meaning and depth of the liturgical life of the Church since we often lack knowledge about the beneficial role of the Church in our life. Partaking in the liturgical life of the Church helps one prepare to participate in the Salvific plan of God. Every Church service, but predominately the Divine Liturgy, encapsulates all of our theology. On the other hand, however, not partaking in the liturgical life of the Church disrupts one’s voyage towards a saintly life, that is, towards a life in union with Christ. If we go to Church, read Holy books and try to imitate the lives of the Saints and, most of all, to follow the life of Christ, (which takes place in the Mysteries of the Church and in the entire Creation), then the need to make New Year’s resolutions, for example, will be non-existent because we will already be on the correct road to change which offers the experience of the Mystery of Christ. – This provides a good segway to talk about repentance and confession. We know that the Holy Fathers – and Mothers – of the Church stress the need for both. What advice would you give to someone who has never been to confession and is perhaps thinking or wanting to go? 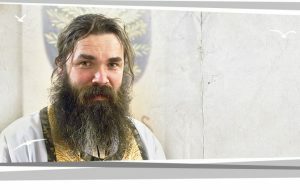 – Let me begin by saying that in the Orthodox Church repentance and confession belong to the same Sacrament. This Sacrament has existed in the Church from the time of Christ. It was He who gave authority to His Apostles to forgive sins: “Receive the Holy Spirit. If you forgive the sins of any, they are forgiven; if you retain the sins of any, they are retained” (John 20: 22-23). I should stress here the strong connection between confession and repentance because it is often observed that while we may confess, we many times do not repent. We should remember the Greek word Metanoia, which means “change of mind” or lifestyle towards God. It is through the Sacrament of confession that one introduces himself – based on his/her own free will – to God, allowing him/her to get known by Him. By participating in this Sacrament we begin to work with God, leading us to restore our relationship with Him through a process of synergy (or cooperation) between God and man. The Theanthropic synergy is an essential characteristic of the Christian life. When man works together with God, God works together with man (I Cor 3:9). Nothing good happens in a Christian life without God’s grace. When one offers his free will and God His Grace, this cooperation between man and God builds a Christian personality. Therefore, Christian virtue is based on synergy. Confession prepares us for salvation which occurs through God’s grace but which is also dependent on our participation through our free will. If we start participating in this Sacrament, we will begin to figure out the real meaning of God in our life, leading to an enhanced understanding of the Salvific mystery. 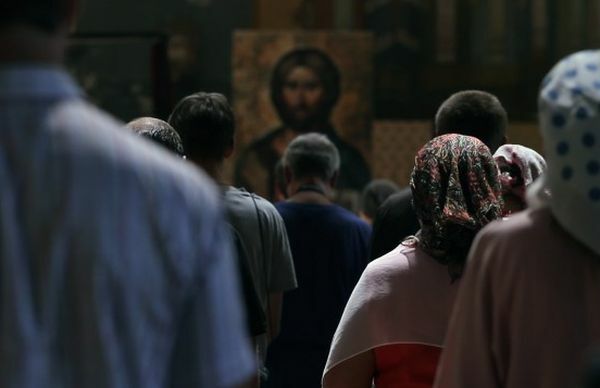 – Apart from going to Church and partaking in its Mysteries, what resolutions or changes can we make in our daily routine to live a more Orthodox Christian and Christ-centred life? – As I have mentioned, the participation of the faithful in the sacramental life of the Church is necessary but it is not enough. After we depart from Church, we need to depart with Christ in our hearts since the centre of our life should be Him. While we receive His precious Body and His precious Blood in the Divine Liturgy, we should bear Him in mind every day. How can we do this? Through prayer, through forgiveness, by showing love to one another and by keeping the name of Jesus Christ in our heart and in our mind. We have to find reasons everyday to love and to remember God. If we remain silent and think about the creation of the world, we will be better able to see and experience God. Moreover, if we have the sincere desire to understand God, He will reveal Himself to us. The working of the world is a kind of Divine Liturgy since all creation glorifies God. We are therefore exposed everyday to God’s mercy and to His grace – the only thing left for us to do is to be active participants! – Thank you very much, Father. Thank you. May God bless us always and keep us close to Him.